To celebrate the 25th anniversary of the creation of Mike Mignola’s Hellboy, Dark Horse Direct has teamed up with Japanese toy maker 1000toys to release this epic 1/12th scale Hellboy Action Figure!!! 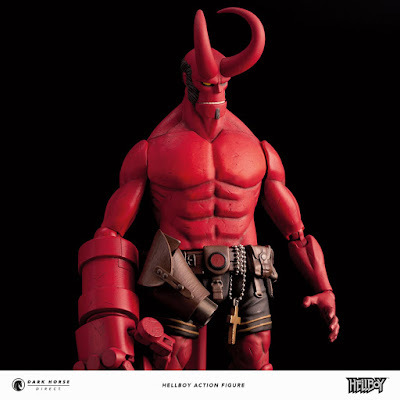 This is by far the most deluxe Hellboy action figure offered on the market today. Feel fully qualified to embark on your own paranormal investigations with this full-fledged member of the B.P.R.D. at your side! 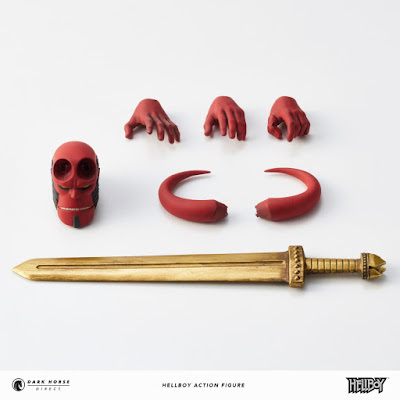 This insane fully articulated Hellboy action figure stands 7.5” tall, is made of PVC plastic, and a super articulated Right Hand of Doom! Each Hellboy figure comes with an interchangeable Beast of the Apocalypse head, closed fist hand, open hands for holding other accessories, a gun, and a removable cloth jacket. And if you purchase the Dark Horse Direct Exclusive Hellboy action figure by 1000toys, your figure will include the DH Direct exclusive Excalibur sword and DH Direct exclusive Beast of the Apocalypse Horns. 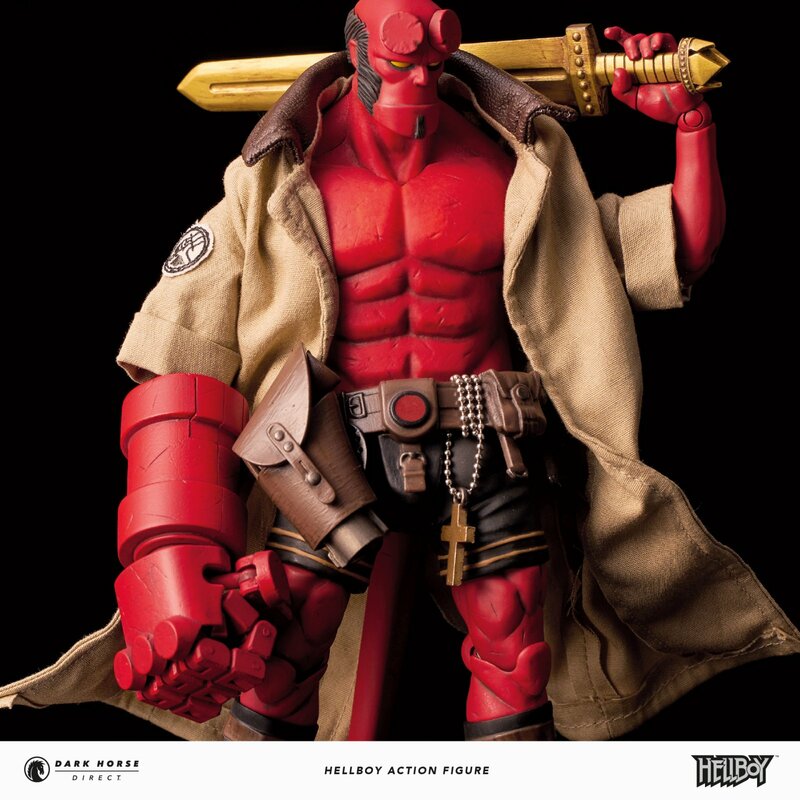 This insane new Hellboy deluxe action figure is available for pre-order now at the Dark Horse Direct online store for $119.99.